Both the heart and the sentiment are from the You Had Me at Hello set from Unity Stamp Company. The Stitched Circle Scalloped Edge Frame die is from MFT Stamps. Stamp the heart with red ink on white card stock and trim close. Stamp the sentiment with pool ink in the center of the heart. Attach the heart to a red scalloped circle punched from red card stock with foam tape. Die cut the frame from pool card stock. To make the card, cut a piece of white card stock to measure 10 inches by 5 inches and fold it in half. Cut a piece of pool card stock to measure 5 by 5 inches and attach to the front of the card. Cut a piece of patterned paper slightly smaller than 5 by 5 inches and attach over pool card stock. 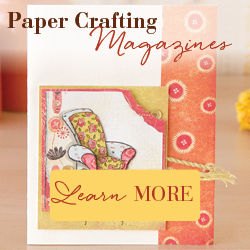 Attach the scalloped circle with the heart to the card with foam tape. Attach the frame with foam tape. Finish the card by attaching 3 sequins in the bottom left corner. A quick and easy card with a vintage feel to send your love on Valentine’s Day!